Dr. Weber's current research interests related to the Arabian / Persian Gulf include: environmental philosophy, bioethics, Ibn Sina, and traditional (tibb al-nabawi) medicine. Some of his recent publications include: “Ibn Sina Cures a Prince Who Thinks He is a Cow” Hoekten Journal (2014); “Folk Medicine in Oman,” International Journal of Arts and Sciences (2011), “Ibn Sina the Islamic Polymath,” Aspetar Journal (2014), “Mitigating Physical and Social Impacts of Tourism in Desert and Drylands Regions: Review of Case Studies from Egypt, Jordan, Oman, Qatar, and Tunisia,” Service Management Journal (2015); “Sustainable tourism in extreme environments: Lessons from desert regions” in Tourism in Southern and Eastern Europe: Crisis - A Challenge of Sustainable Tourism Development? (2014). He is the co-editor with Andy Spiess and Faisal Mubarak of Tourism Development in the GCC States: Reconciling Economic Growth, Conservation and Sustainable Development, forthcoming from Springer Verlag in 2015. 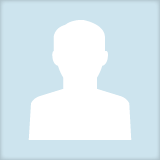 Alan S. Weber updated their profile information.